We can guide you for employee skill Development. Contact for any Training Requirement. We do provide Quality in Training implementation. Contact for implementation of HR Automation in your plant. Evaluate Employees Round the year. Encorage best employee by Reward. PSB Papers Limited, Bazpur is chosen CISAT as a growth Partner for long term. Under this CISAT will support in the areas of Plant Improvement, 5S Implementation, Training to Employees and Productivity Improvement. 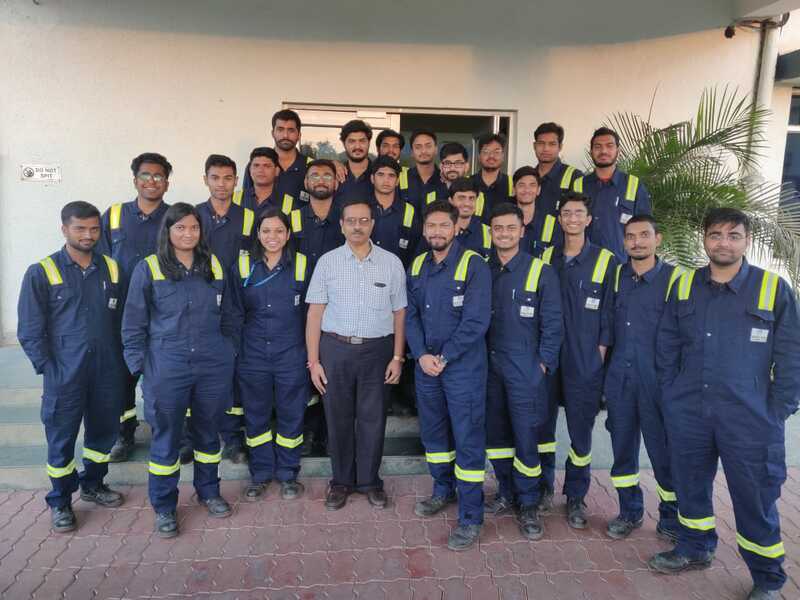 CISAT Conducted seven days training programme for Mechanical Engineering Management trainees at BORL Bina from 19-27 Nov 2018.<br/><br/>CISAT Experts Delivered on various topics of Rotating machines, Pumps, Bearings, Welding, Insulation system etc..
CISAT Successfully conducted 4 Days Training programme on "Substation Design and Engineering". 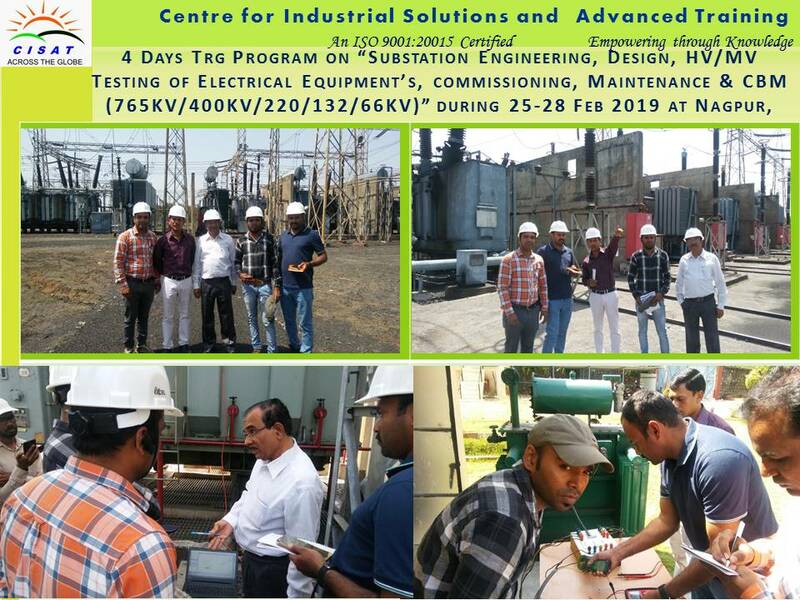 Hands On been conducted during training along with Field visit to substation for skill enhancement.<br/>1. Test on transformer (Vector group, Magnetic Balance, Ratio, SFRA, Short Circuit and Insulation test performed).<br/>2. Complete hands on Demonstration on Numerical Relay been provided. We provide one month Intership for Engineering students in Electrical, Mechanical, Automation, & Engineering Contact or more details. Speciality We will provide certificate after completion. 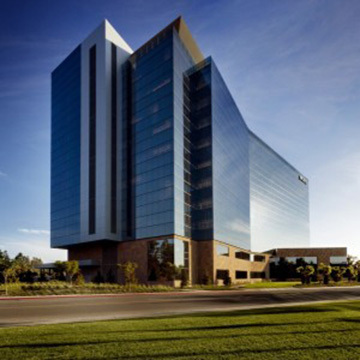 Quality knowledge sharings by industrial experts. We impart quality in knowledge sharing to the Employees of Corporate at all levels on various topics such as Safety, Technical Training, Behavioral and Soft Skill Training, Out Bound Training and Business Excellence. "One stop solution for All Industrial Training Need" - Contact for details. Quality Skill Enhancement for Technicians and students. Performance Improvement through Business Excellence services; Product sales and service; Automation Solution.